We do not forget by cancellation but by superposition, not by producing absence but by multiplying the presences. The project is created within the European Capital of Culture Pafos2017 event, entitled ArtTwins. This initiative brings together two artists/groups that have never worked together before into creating a unique public sculpture/urban installation in the area of Yeroskipou in Pafos. 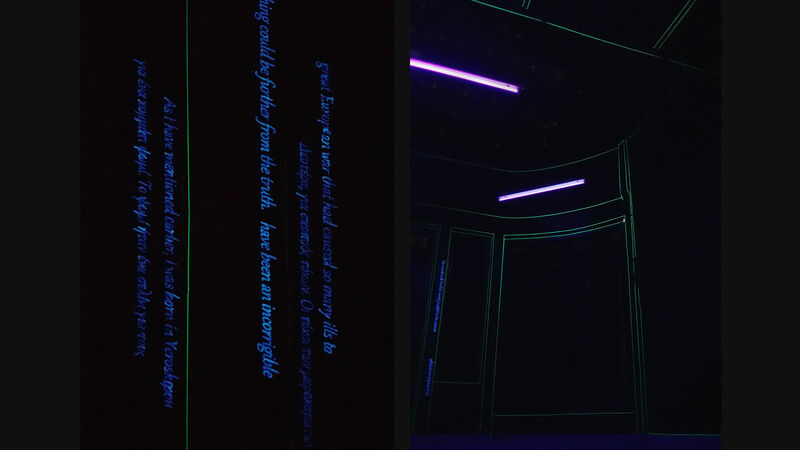 In this way, the Cypriot artist Klitsa Antoniou has collaborated with the Polish-Hungarian duo of visual artists Elektro Moon Vision to create Ars Excerpendi. Semiosis. After an investigation of the urban context of the area, its urban landscape and its social history, the artists have chosen not to design a free-standing public sculpture, as the initial ArtTwins project suggested. 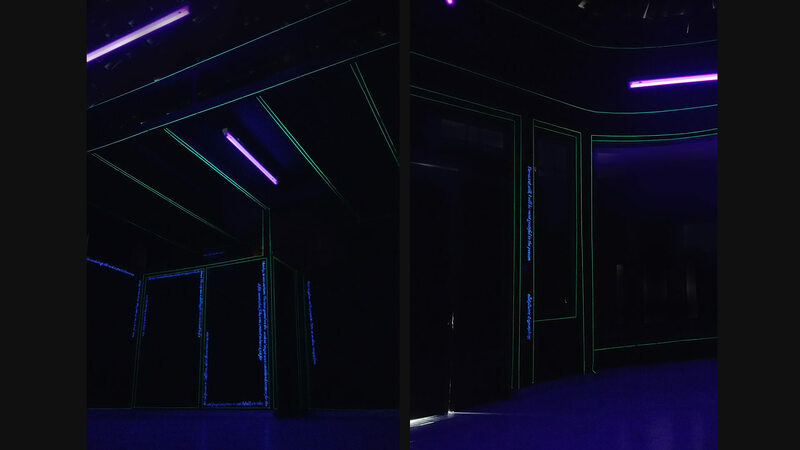 Instead they chose to penetrate within the built fabric of the area and re-mobilize urban memory by turning an empty building into the actual ArtTwin installation. The building chosen is one left abandoned for many years and built in the 1940’s, by Christos Mais, who used it as his carpentry workshop. As Mais passed away, the creative team/artists proceeded into an extensive research in local archives and consultations with Mais’ grandson into discovering more of this extraordinary man and his life. He was born in the area and as many children of that era had to abandon school early to earn a living for their family as an apprentice carpenter. Self-educated he began writing in local newspapers and growingly became an activist in the contemporary sense, defending the rights and safeguarding the heritage of his home-town, he wrote and protested greatly against the intensification of urban development in the Pafos area in the 1980’s. His passionate writings have been traced in the local archives by the artists and pieces from them have been carefully chosen. 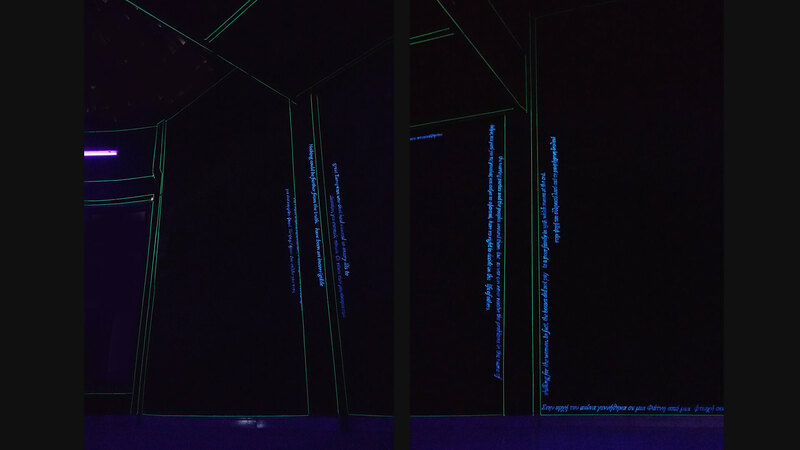 These pieces of text are the ones, to be read when visiting this space today, texts in chosen abstracts, in the form of memory-evoking Semiosis, when the building is turned into an Ars Excerpendi urban installation. The latin, Ars Excerpendi defines, the Art of compiling abstracts or summaries so as to retain such knowledge as is judged indispensable, and to let marginal information fall by the wayside. And for the artists unknown stories as this one ought to belong to the collective memory of the topos -- in this case the city of Pafos. Undermining the distinction between literal and figural the artists use words, and the building as object is re-imagined, giving rise to a new mode of interpretation for the public to assess. In Heidegger’s words, overcoming forgetting is here the recognition of forgetting. 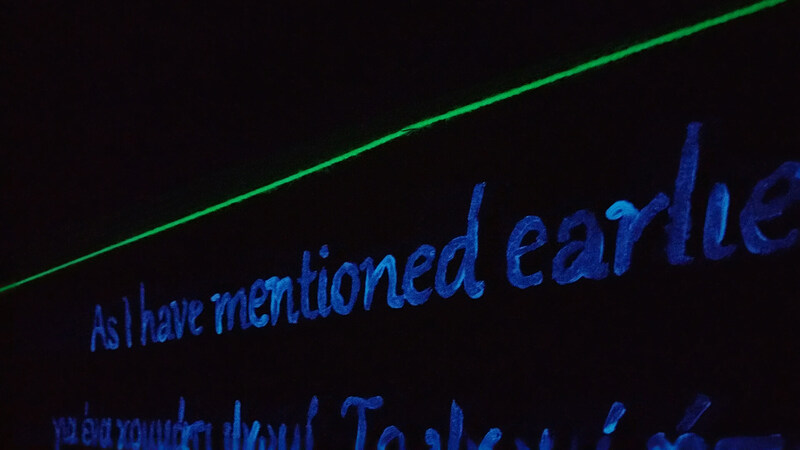 And here the installation becomes both the act and effect of a re-description of a human tale, an urban piece of social history. Architecture had always a unique representational power involved with shared, meaningful traditions such as myths and religious stories. We all believe in the extra-ordinary of Once upon a Time, we all dream and breathe through our tales and this story is such a story, a real one bound with the city of Pafos but still unknown to most. Klitsa Antoniou and Electro Moon Vision turn this building into an urban ornament with a poetic gesture that helps people locate themselves with respect to a place and a community. This space that remained empty for decades now becomes a place; a distinction between space and place, where spaces gain authority not from space appreciated mathematically but place appreciated through human experience. The whole of the interior is painted in black a symbolic act of obliterating the signs of the past and then it is lit up with Black lights in a bold gesture of re- evoking urban memory. 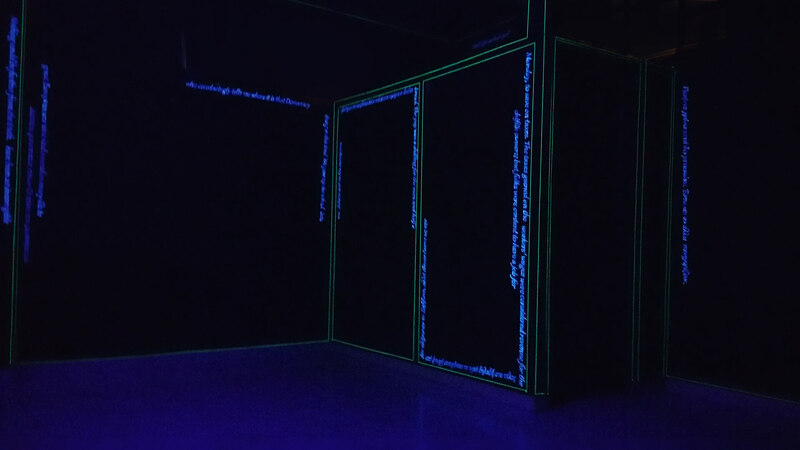 The interior building’s structure is re-traced by lines which eventually turns into Mais’ own words glowing in black light, re-animating his workshop and turning it into a beacon of light. This urban structure is torn out of the dust of oblivion for all to see, remember, read and be animated by; a subjective dialogue on social conditions between people and their changing society is created rising from the ground and lighting- up from within. Dr Hesperia Iliadou- Suppiej, Professor in the History of Art &Architecture, curator.